CPUID's software might be familiar to you if you use a Windows PC. It is used to provide information for PC users to overclock or optimize their computer and to install Linux. 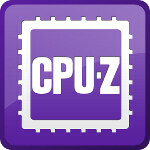 Now, the company has put up a beta version of its CPU-Z tool in the Google Play Store. The app couldn't be more easy to use. Android users receive information about their phone that they can use to do a number of things like optimize performance of the phone, or to eliminate bugs. With the CPU-Z app, you can find out information about the processor running your phone, the battery, system information and sensors. The app works for devices running Android 3.0 or higher and has received a sparkling 4.8 average rating from users since the app launched on Thursday. If you want to see what all the fuss is about, check out the screenshots in the slideshow below. And then head to the Google Play Store to download the app. It's free, by the way! Very cool. Love CPU-Z & HWMonitor on my desktop. Awesome. But I am waiting for GPU-Z, everyone knows at least something about their CPU, but almost on-one knows anything about GPU in their devices. One of the tools I use in my job! Very useful for PC.